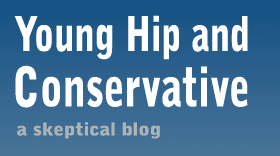 Young, Hip and Conservative: a skeptical blog: What's wrong with limited-access goods? People are upset that sometimes when they buy a video game, their consoles won't let them play all the levels unless they pay an extra fee. I argue that they're wrong to be upset and should save their outrage for something more earth-shattering, such as the president eating ice cream at a funny store. I've written about downloadable content before, it's extra levels and items that players can purchase to expand a video game. The normal order of things is that a game will be built and released, and then extra pieces to the game will be made available to download. Some DLC is free, but most costs money. But sometimes extra content is already on the disc. Take Dragon Age: Origins and Mass Effect 2, both developed by BioWare and both contain character and equipment on the disc blocked away until customers enter a special code or pay $15. New copies of the game include a one-time, one-console code to access the hidden material, presumably to kill the second-hand market for the games. This has made people upset. As they see it, customers already purchased the game, so they should be able to use everything on the disc. "It’s quite simple to explain, but I do think players are entirely right – if the content is on the disc already there’s absolutely no justification for studios to offer DLC which is essentially an unlock key or something." "Gorilla Wars" is released on Wednesday. On the same day, a $5 DLC is released to expand the game, possibly containing an extra jungle level and two more banana-themed weapons. The DLC uses 300 megabytes of the customers hard drive space. Also on Wednesday, "War Gorillas" is released. Players can pay $5 to download a tiny 50 kilobyte file that will access a special jungle level and two more banana-themed weapons already on the disc. Which game gets the most angry nerd forum posts? War Gorrilas, of course, as all the information was already on the disc. Players assume that means they should be entitled to it for "free." But let's look a little closer. The Gorillas Wars players is using 300 megabytes of hard drive space, while the "exploited" War Gorrilas player is using a fraction of one megabyte and playing the rest off the disc. It doesn't sound so bad now, and both players paid $5 for the same thing. It's as arbitrary a difference as correcting a test by starting with a score of 100 and subtracting a point for each wrong answer, or starting at zero and adding a point for each correct question. Both add up to the same thing in the end. As the previously-quoted David Brickley said, there is a debugging period of about 5 months between when a game is put together and when it goes on sale, which frees up team members to start working on DLC before the game is actually released. This can mean that a company can have DLC ready on day one without intentionally moving material off the disc and into the download queue for profit. "The game has certainly enjoyed a positive reception and good sales, and few fans seem to complain that it's too short. Still, confirming that content was removed from the game and repackaged as DLC is a risky PR move, as it is bound to leave some gamers feeling short-changed." "Portions of games being cut out and tagged on as DLC isn’t exactly commonplace, but it isn’t unheard of either. Gears of War 2 and Tomb Raider: Underworld are two example of titles that were cut short to earn some extra cash post-release, and now Assassin's Creed II is another." Both posts quote game designer Patrice Desilets as saying that the levels were cut to get the game released on time without spreading the team too thin and because the game seemed too long already - not to make more money. I recall an interview with a God of War game developer about one of the levels they designed but had to cut to get the game released on time. There was no DLC at the time, and a version of the level appeared in the sequel. Should fans have gotten mad, as they had to buy a second game to get the whole God of War experience as envisioned by the design team? Of course not. Cut levels are liked deleted scenes in movies - a normal part of the creative process, not a plot to boost DVD sales or "earn some extra cash post-release." Players should be delighted that technology has given them access to deleted portions. If they don't think it's worth paying extra for, they can skip it and just play the core game. Or, they can do what I'm doing and wait for a future version to be released with all the DLC included as a bundle. Back to BioWare and their codes to unlock content on the disc. I think the complainers on the Internet are correct - this is a move to kill the second hand market for console games. Video games have a short shelf life of a few years. The price falls dramatically during the first year for most games. In addition, chains like GameStop sell used copies of games for about $5 less than a factory-sealed. Since the used games are guaranteed to work, a lot of people (like me) buy used copies whenever possible. But what if they did nothing and allowed the used market to cut into their sales? One of the most important questions to ask in economics is "Then what?" I would expect profits to decline. This could lead to future games being made with less resources or game prices going up. Doesn't BioWare have a right to encourage customers to buy new copies by rewarding them with a better game? Used copies still work, they're just not as big and flashy. In the grand scheme of things, video games are a frivolous form of entertainment; not a life-or-death purchase. They're also a business and there's nothing wrong with companies giving customers more options. It's true that DLC started as a way to tack new parts onto existing games, but game makers are now thinking of DLC during the development process. Players shouldn't be scared of this change. It may keep game prices from inflating because companies have other sources of income. Above all, players need to keep things in perspective and realize that buying a game doesn't entitle them to anything more than what they paid for, just like buying a Big Mac doesn't entitle you to fries and a soda. EA has recently developed an entire philosophy around this which they call "Project Ten Dollar". The Dragon Age and Mass Effect DLCs were initial implementations of this. EA will also begin requiring a ten dollar (or free with new game purchase) code in order to play AAA games online. As a gamer, I am happy to see EA doing a bit of squeezing here. Games are too cheap; the more money to be made, the less these companies have to rely on franchise retreads, and the more they can experiment with new forms of gameplay. When you consider the 50-60 dollar cost of a Dragon Age, vs the 100+ hours of compelling gameplay contained therein, it works out to an incredible bargain. The older I get, the more I focus on a single game at a time for long periods of time. And I sometimes feel guilty at the vast amount of pleasure I am getting for so little investment. I've been meaning to write more about how the price of console games has evolved over time. I found a few numbers for the consoles themselves, and the NES cost $199 in 1985 - that's $391.52 in 2009 dollars. From my memory, games were about $50 in 1990. That's a little more than $80 each. Considering how limited most of them were, I think the prices have been moving in exactly the right direction. Let me preface by saying that I don't buy that many video games, never have. I own a Wii and I tend to only play the Lego games (because a. you can't die, and b. once you've beaten the game you can still play unlimited with any character you like and just have fun). The only complaint that I have with the concept is targeting the second hand market. I can only speak for myself when I say that I would NEVER buy a game I haven't played new. Just not going to happen. The only exception would be if the game is a sequel to an existing game I enjoyed (such as lego franchise). I either wait until the price drops in half or buy previously played. Does this cut into the sales of a company . . . Not in the slightest, because I would never have bought the game new. Ever. Now if to play the game "used" would cost be more because I had to reactivate part of the game, I just wouldn't buy it. I have yet to meet a game I couldn't live without. Let's expand a little more on the secondary market. Buyer A, the original purchaser of the content, buys a new game, plays it, and then sells it to "Gamestop", then uses the money to help purchase a second game new (which he/she couldn't have done without that money). Buyer A has now purchased two new games. Buyer B buys Buyer A's used game and loves it so much he goes out and buys the company's sequel game new as soon as it is released. Buyer B has now bought 1 used game and 1 new game. Total 3 new games, 1 used game. Now let's look at the same scenario with protected content. Buy A buys a new game, plays it, and then goes to sell it to Gamestop. Gamestop gives him 1/2 (because they may or may not be able to sell it used, and if they do it will be for the cost of the activation - the cost of what it would have been previously used) of what they normally would for the game because the content can only be accessed new, or with additional payment. Buyer A now doesn't have enough money to buy the second new game. Buyer B goes into the store to buy Buyer A's used game and decides against it because he doesn't want to play the additional amount to activate the content. As a result he doesn't learn to like the game and go out and buy the new game. Total 1 new, 0 used. The used market is both a form of advertising for a company (a free form of advertising) and a place for players to test out games and game companies. Destroying a secondary market ALWAYS cuts into your profits. People want to know that what they buy has value and if there is no secondary market, there is no value. Imagine buying a new house only to learn that there is no market to sell used houses . . . would you still buy that house? I know what you mean when you say that the value of something goes down when you prevent people from reselling it, but GameStop isn't discounting used copies of Mass Effect 2 or Dragon Age any more than another game. We both agree the some sales are cannibalized when you eliminate the resell market, but there are people who will buy a new copy is no used copy is available. There are a lot of consumers out there with much different buying habits than you or I. I think the money GameStop gives for used games is too low, as it's always fun to have old games to play a decade later. There are players who sell almost all of their games to get new ones. I think their strategy is flawed, but that that doesn't mean my strategy of never selling used games is perfect either. But I'll wager most of them haven't unlocked Hush in Lego Batman. I agree. I have no problem with a DLC strategy. But I think it should be the same for new and used copies.